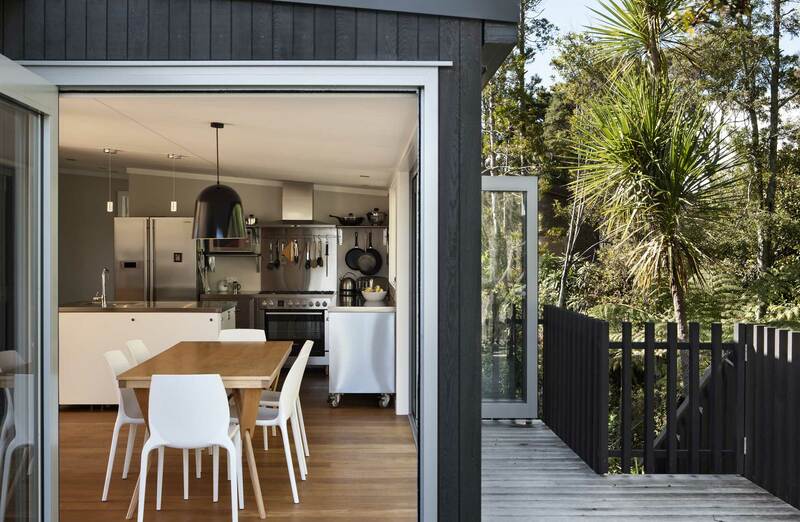 This house was inspired by its bush-covered, north facing site, amongst a central Auckland suburb. 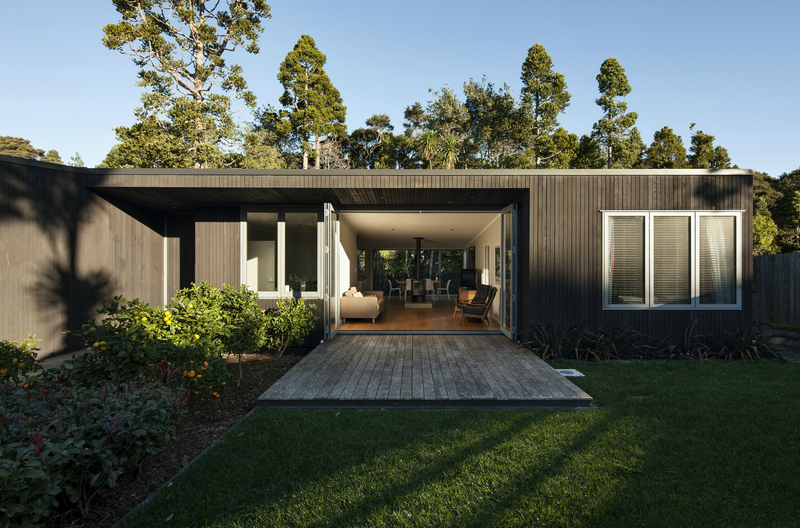 The house sits long and low across the site, making the most of its north aspect, and native bush reserve that fringes the house on its south side. 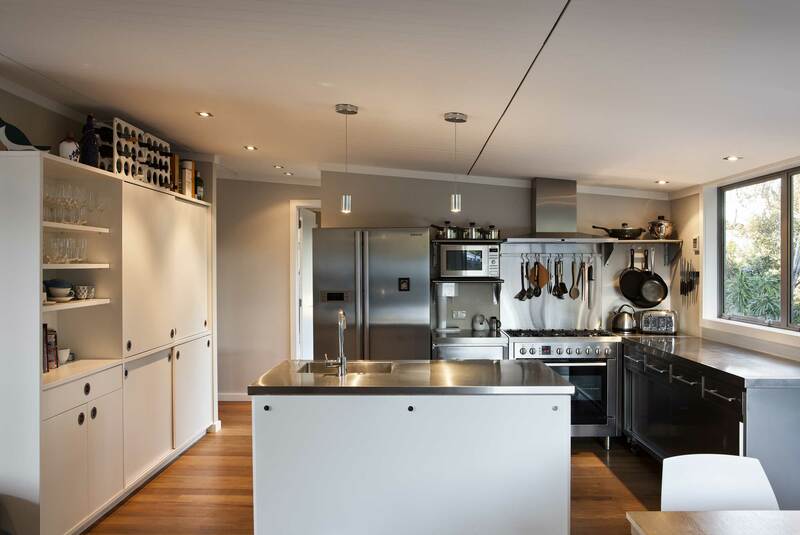 The house serves a young, busy family and was designed to feel welcoming, relaxed and approachable. 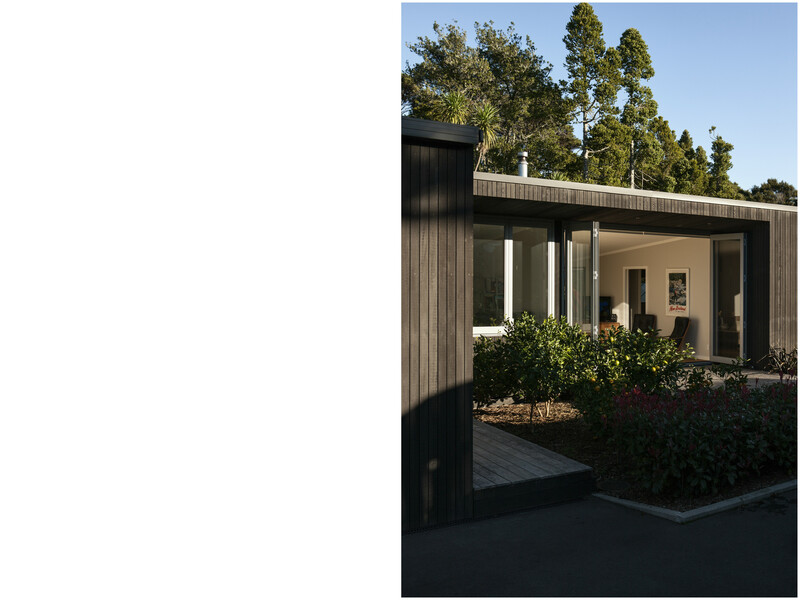 A variety of timbers were chosen to finish the house: dark stained, cedar weatherboard cladding was chosen for durability, quality, sophistication and vertical lines to complement the surrounding trees. 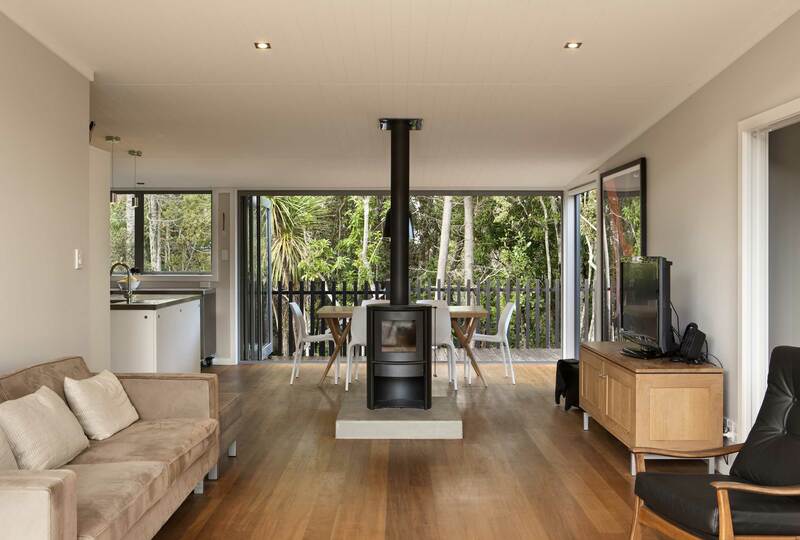 Vitex timber has used on the decks and floors, the latter finished with wood oil to bring out the timber’s soft caramel tones. 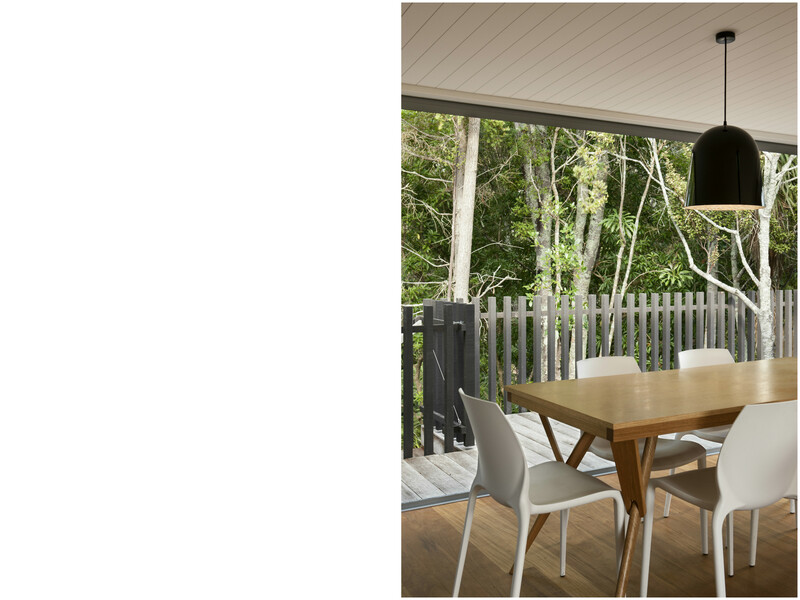 Grooved, painted plywood sheets were used to line the skillion roof, to read with the vertical weatherboards outside and negative joint detailing between sheets for extra effect. Photographs by Simon Devitt.